According to the Centers for Disease Control (CDC), at least 200,000 children age 14 or younger are treated in emergency rooms each year for playground injuries. More than 10 percent of these are traumatic brain injuries (TBIs), and the rate of TBIs is rising. 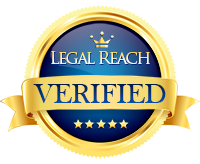 You should Work With NH Playground Injury Attorneys if You Have a Claim. 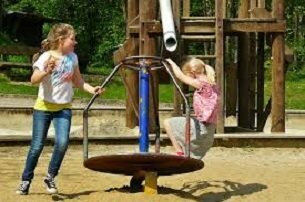 Because public playgrounds are numerous and easily accessible, most kids spend their time on these rather than private playgrounds. Thus, the largest percentage of playground injuries take place on public facilities. 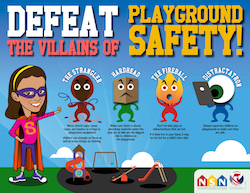 In fact, it is estimated that seventy-five percent of playground injuries take place on public playgrounds. Monkey bars and climbing equipment are responsible for the highest number of injuries. To ensure your local playground is safe, the National Recreation and Parks Association has a network of Certified Playground Safety Inspectors (CPSI). The CPSI certification program provides comprehensive and up-to-date training on playground safety issues, including hazard identification, equipment specifications, surfacing requirements and risk management methods. To find your local CPSI, click here. 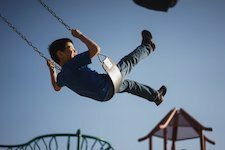 If your child has been negligently injured on a playground, it is essential that you have competent legal representation from the onset of your case through litigation. Big insurance companies have lawyers looking out for their interests and you should too! 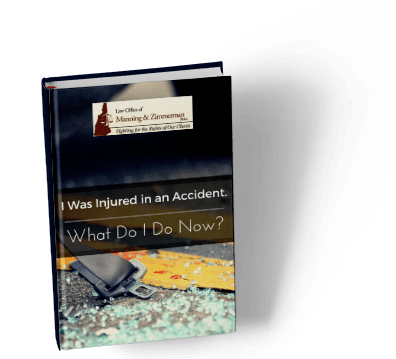 The New Hampshire playground injuries attorneys at the Law Office of Manning & Zimmerman, PLLC offer free initial consultations for NH injury victims. Call us at (603) 239-2489, complete a request for a consultation on our website, or send us an email.